Ok, first I won the giveaway from Fun in 4B!! I can't believe it. This is my first giveaway win, and I am walking on cloud 9! It was definitely a needed pick-me-up after the crazy week I had last week. Plus, everyone is gloriously enjoying their spring break ... and I just get Friday off. So, think of me while you're lounging in whatever relaxing place you've decided to spend your free time! Anyway, last week I was working on visualizing with my kiddos. They are great at using the strategy with fiction text, but I wanted to take it to the next level and show them how to visualize with nonfiction. Check out my AMAZING artistic ability ... lol! 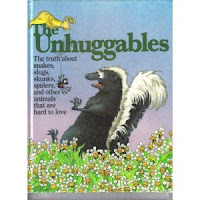 Then I had my kiddos read about different animals in a book called The Unhuggables. The article about cockroaches explained how cockroaches can live anywhere in the world. So, here is a visual of cockroaches cover the world ... ew! The article on the Octopus explained how the tentacle can taste bitter, sweet, and sour. My favorite picture, which of course I don't have a picture of is of the octopus. The article explained that when the octopus bites the crab, it turns its flesh to liquid. One of my boys drew a picture of the octopus drinking up the crab with a straw! I just thought it was so creative. I'd love to hear how you get your students to visualize what they read! This visualization activity is so great. Thanks for the idea. I'm going to pin it for later! My first giveaway win AND my the first time anyone has ever pinned my stuff ALL IN ONE DAY! Now you're really going to put me over the top!